It could well be. One council has all but gone bust, another is heading that way, with more county councils rumoured to be not far off. WBC being a unitary can charge for luxury services like this, so it has more money to fund social care for the elderly, or protecting vulnerable children. I think Jacob Rees-Mogg is correct in this video, and we should have a referendum on the final deal. What about the world's other superpower and neighbour of North Korea, China? Years of inaction from Obama? Why was it down to Obama to fix the world's problems? Yes, that's right at the moment but for big conurbations akin to London and the Manchester area. So this doesn't solve the majority issue, the little councils like West Berkshire. Creating these regional authorities then produces a counter to the devolved regional Government in Scotland and Wales. I'm sure you'll have noticed that 'Cornwall' features in the act you copied. For this area, in good time, we might expect perhaps a Wessex region. How would these regions deliver services; via contracted agencies. You say regions would deliver services via contracted agencies, however what's actually happened in your example of Cornwall is they're in-sourcing services. Do you have a link to plans for the proposed Wessex region? Bar a few crackpots on Twitter, I've not seen any serious proposals about it. The secret us in the text, the words 'some' and 'combined' tend to give it away. It's really an attempt to replicate the London model in the bigger conurbations particularly in the North. WBC dead in the water, clearly even HMG see it as too small to be viable even medium term. Anyone wanting a physical illustration of the crass silliness of the existing system simply needs to consider why in the pretend County of Berkshire, two large public parks in close proximity are managed by two separate councils operating with separate staff from separate offices. Not sure even Lewis Caroll could have dreamed that up. What I'm saying is, whilst you have a view local services should be managed nationally, actually the opposite is happening and more national services are being managed locally. Me neither. Neither am I convinced that local authorities have a role in trading standards, environmental health, social services, housing, waste collection, roads, planning, health and safety, and libraries. There is maybe a role for parish-level local government in the preparation of local plans, but the planning decisions themselves should be made exclusively by informed professionals with reference to those local plans. The problem with local authorities is their board of management - councillors! Despite the Tory rhetoric quangos can be quite an effective way of delivering public services with national agencies working through local offices giving you local knowledge with all the benefits of economy of scale and depth of expertise, and despite the rhetoric of localism the majority of those services really require very few policy decisions, and for those that do, direct local democracy is quite possible now - we could for example be asked to vote annually on the service level for a range of services and the national agencies would then deliver those services locally to the standard agreed locally. There'd still be a role for local political activists seeking to influence those service level choices, but it would end the nonsense of electing deciders to decide on our behalf when we're perfectly capable of deciding for ourselves. The opposite is happening, with local regions being able to decide more for themselves thanks to the Cities and Local Government Devolution Act 2016. Population is but one element. Reading and West Berkshire are but two. I doubt that it is specifically about IKEA, but I wouldn't be at all surprised if they want to extend Reading's boundaries to encompass all of Calcot, Tilehurst etc. - makes more than a little sense. Would be a massive hit to WBC's income, I wonder how much they spend in those areas?  In the 2011 census the population of Reading Borough was 155,700 and West Berkshire was 153,822. Given there's almost parity in population, simply redrawing the Reading / West Berkshire boundary seems unlikely. Newbury Weekly News report says WBC are looking at making even more savage cuts. Someone is telling porkies big time. Little wonder Joe Average has lost all faith in experts and politicians. I imagine they're both true. Some businesses don't want to pay more tax which and if that happens they'll be less money for public services. Fine. So, there is at least £48 million in the Government's safe just waiting to be spent? Being of simple mind, that must surely mean someone has been telling lies about this need for austerity or someone is going to be very unhappy about losing their grants and other government bounty. I wonder which it is? NB - a consortium of big retaillers is presently heavily lobbying HMG to try and stop the transfer of business rates, fearful that local councils will increase the charges so reducing the attraction of High Streets still further. As if! Can councils set business rates locally? I thought rates were set nationally. Yes, I'd agree with all that. Its like throwing herrings to seals, keeps them happy for awhile. It the government really believed in 'localism', they'd keep right out of local government financing, which won't happen anytime soon. By letting councils keep their Business Rates they are exerting less control over local government financing, as you suggest should happen. Well, presumably the business rate in Surrey is being paid to someone? That someone isn't going to be too pleased are they? I don't think they're going to be reassigned from a specific Government department to Surrey, no, but I see what you mean, Government won't be able to spend the money they give to Surrey. It's really a drop in the ocean in terms of something like the defence budget though. Umm. I wonder what will be done to 'plug the funding gap' when business rates are taken from the Givernment's purse? Is this not simply robbing Peter to pay Paul? Who's planning to take Business Rates from the Government's purse? Localism in action! Transfer the tax burdon from corporations and high earners to council taxpayers whille issuing edicts from Whitehall to tell councils what they have to spend it on. And when are they going to come good on their pledge to allow councils to keep all of their business rates? Guess this is ok as its Trump. Talk to him. Reason with him. He is an elected leader. Looks like the US courts have reversed this for now anyway. The basic, over riding tenet for me is that of 'Free speech' this is a country that spends vast amounts of money providing police guards for extremist Muslim preachers to spout their hate and bile on street corners with little or no reaction from the public at large and yet we are prepared to devote endless column inches to the cause of not allowing the leader of the free world to come speak in England. Really?? On a side note I saw a placard being waved in the USA that said something like "Down with Trump, I think he's a horrible man" Lots of horrible men out there sir, better get used to it. Didn't someone say once say something like, the only thing necessary for the triumph of horrible men is for good men to do nothing? 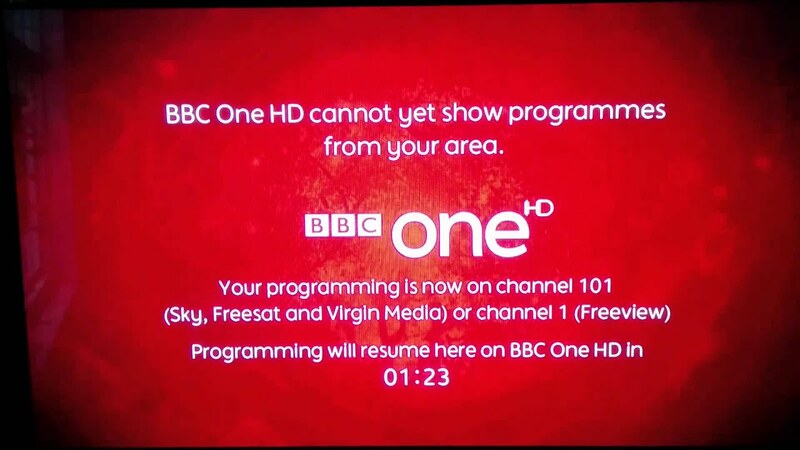 BBC South and Meridian South can't produce HD broadcasts so you'll always get something from another region, or sometimes the image below on BBC1. Any view on the blanket ban of Israelis??????? Or does it not suit. Yes. I think Israelis should be allowed blankets. I hate the EDL. Scum. Interesting that no one is protesting that Israeli nationals (the innocent ones just like the innocent Muslims) are banned from countless Muslim Countries. Thats Ok though. Its not "PC" to hug an Israeli. Laughable. You implied it was just "luvvies" protesting. Are the EDL luvvies? There will be a re run. In four years. Not Democratic enough. I want to be able to protest if I don't get what I want. Take to the streets, spread fear and destruction just like the luvvies do. Perhaps this lot are up your street then? I sincerely hope they're never down mine. I think if We get a lib lab government, west berks should vigorously campaign for a rerun of the general election. After all I wouldn't have voted for them. Democracy in action, Huzzah!! We don't vote for a government though, we vote for a Member of Parliament. He also said that in the event of a narrow loss he would continue campaigning for another referendum. Yes, and he'd be perfectly entitled to do so, just as those who campaign against leaving are doing. That's the whole point of democracy, you can still campaign for what you believe in even if you lost a vote, and you can change your mind about things.